I'm reading: For Me, For You NecklacesTweet this! 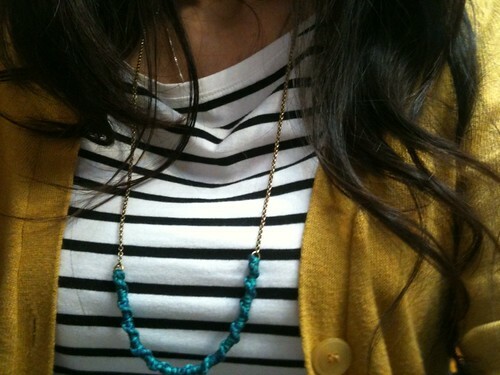 I've been following Kate Miss of For Me,For You for a while now and her necklaces are really cute and fun. They are in such high demand that every time she has a shop update, they disappear within seconds. I was finally able to nab one a few months back and I love it. She is having a shop update tomorrow. Click HERE to see the selections! Oh, and here is mine that I am wearing today!